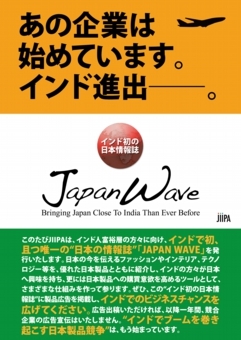 JIIPA has now taken the decision to publish ‘JAPAN WAVE’ – a magazine for Indian readers with an interest in Japan. We plan to provide our readers with up-to-date news about today’s Japan in areas like fashion, interior design, lifestyle trends, and technology rather than just featuring the sort of information about Japan that is already well known in India. 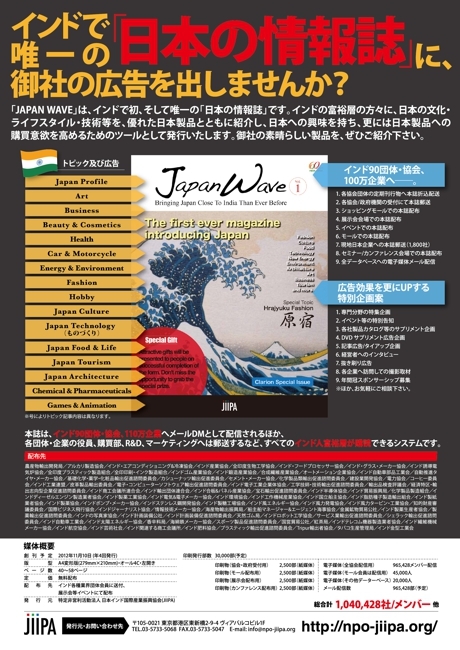 We hope and trust that this magazine will further stimulate its readers’ interest in Japan and help to broaden the range and foster the expansion of business links between Japan and India. 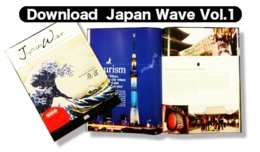 The magazine aims not merely provide information to its readers in India but, by gathering feedback from them through surveys, to promote the building of connections and relationships that will prove to be useful and relevant to the businesses of all concerned. 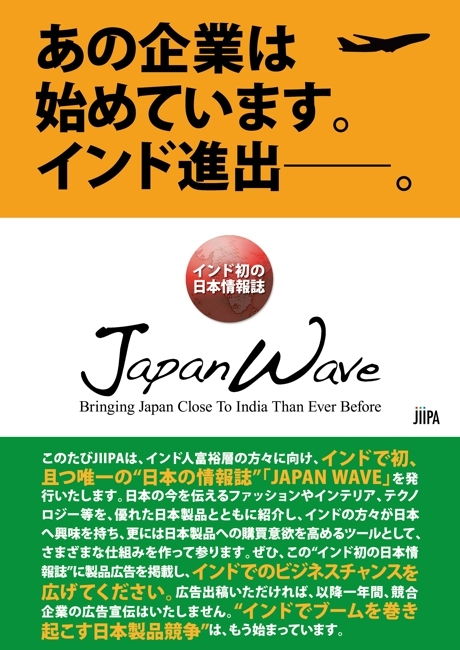 We would be delighted if you would consider making use of ‘JAPAN WAVE’ to expand the range of your business opportunities with India and to take advantage of the promising prospects the country offers for further growth into the future.